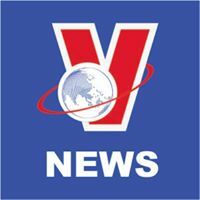 General TV Channel / The Vietnam News Agency (VNA), a governmental agency, is the official state news provider of the Socialist Republic of Vietnam. As the only news agency of the whole country, the state-run VNA is responsible for publishing official information and documents of the party and state, providing information in service of the party leadership and state management, while collecting and providing news via various forms to the mass media agencies, the public and readers of all kinds, both at home and abroad. The VNA is headquartered at 5 Lý Thường Kiệt Street, Hanoi, in the National News Centre. The organisation’s southern and central representative offices are located at 120 Nguyễn Thị Minh Khai Street, Hồ Chí Minh City, and 28 Lê Thánh Tông Street, Đà Nẵng.